We offer a highly responsive parcel delivery and collection service for businesses and residents in North Wales and the Northwest. Our rapid same day courier service meets the needs of your most demanding and challenging consignments. 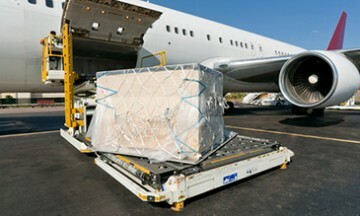 Operating within a global transportation network, we deliver goods to any worldwide destination via road, sea and air. 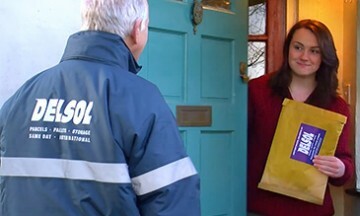 As the leading independent courier company in North Wales and the Northwest, Delivery Solutions (Delsol) Ltd specialises in the safe, secure and reliable delivery of parcels and pallets. 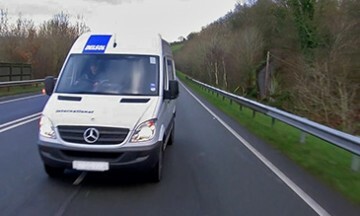 Using our extensive fleet of modern vehicles, we can guarantee next day and same day deliveries of documents and parcels. We provide a highly economical, efficient and flexible pallet distribution service throughout the UK and across the globe. If we have missed you during an attempted delivery, please click here to arrange the redelivery of your parcel. From our custom-built warehouse facility, we offer safe, secure storage solutions for both palletised and non-palletised goods. Apply for a business account with Delivery Solutions (Delsol). With online booking and monitoring facilities and access to a dedicated customer service team, we can fully support your business needs. Book, track and monitor all logistics activities. Columbus McKinnon Corporation Limited offer a next day service on stocked products to our customers located all over the U.K. Delsol enable us to provide our clients with fast and effective delivery nationwide, for single or volume items and are always happy to assist should any issues arise. They more than meet our expectations and we’d be happy to recommend their services to anyone. Riello Ups Ltd. can in part contribute their continuing success to the excellent service given by Delsol and can honestly say that you will not find a better, more reliable and most importantly in these days of ever increasing fuel prices, a more cost effective parcel service. Riello have used Delsol since December 2015 and they have never failed to “deliver the goods” whatever time of the day with 100% on time timed deliveries. Together with the easy to use net despatch software and full track and trace of all our consignments Delsol are quite simply the best in the business.